There must be something in the water: a steady stream of Wisconsin rowers have caught the bug to row for Oxford University, trading in their Badger reds for Oxford blues. The rowing tradition runs deep at both universities. Rowing is Wisconsin’s oldest sport, beginning as an intramural competition in 1874, and is the oldest intercollegiate event in Europe. Oxford’s top athletes can earn a “Blue,” a dark blue blazer, by competing against rival Cambridge in a few select sports, while top athletes from Cambridge can earn a light blue blazer. Dating back to 1829, the storied Oxford and Cambridge Boat Race is now a major international sporting event, with some 250,000 spectators lining the banks of the River Thames and millions of television viewers from around the world tuning in to watch the seventeen- minute regatta. Cambridge narrowly leads the series, though the Dark Blues have won four times in the past five years, with help from their Badger teammates. Clark is the likely source of this international fever — he rowed at Oxford himself in 1986. 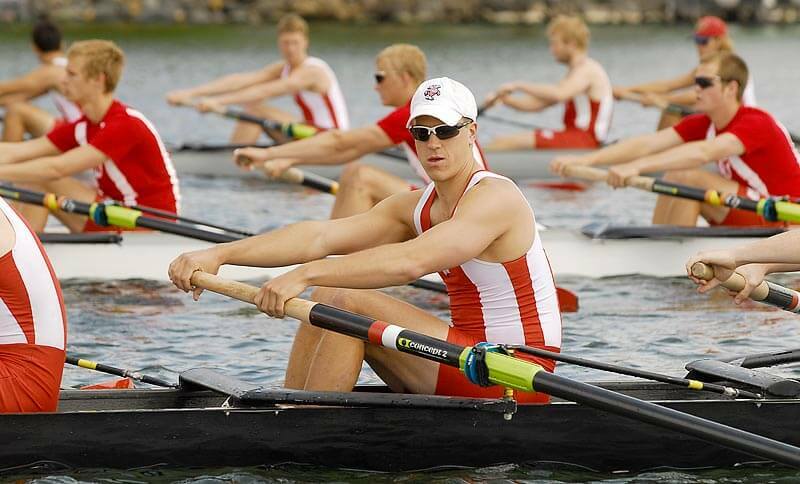 The young Badgers following in his wake include Sam McLennan ’02, who rowed in Oxford boats that beat Cambridge in 2003 and 2004, and Paul Daniels ’04, who rowed in the blue boat that defeated Cambridge in 2006. 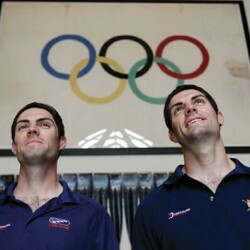 Adam Barhamand ’08 participated in Oxford’s most recent victory in March 2009, and Ed Newman ’09, who rowed in the 2008 national champion varsity eight for Wisconsin, will enroll at Oxford in fall 2009. Further, Badger rower Mike Triebwasser ’05 earned his Blue on wheels instead of water — he was on the Oxford cycling team in 2006. Before his stint at Oxford, Clark spent a year at Stanford and earned three Pacific Coast Championships for the University of California. He was a member of the U.S. National Rowing team and went on to coach a number of American teams at the World Championships. 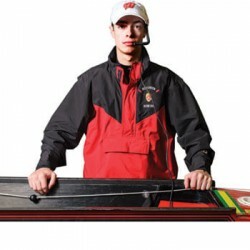 And he likes a challenge: when Clark took over the reins at Wisconsin in 1996, he replaced legendary men’s rowing coach Randy Jablonic, who had a twenty-eight-year tenure. Since Clark’s arrival, the Badgers have consistently ranked among the nation’s elite.